When you fly a lot, most people agree that being able to access a lounge before you fly or during a layover, can be a game changer. Whether it’s to have a shower, to get some work done, or just grab something to eat so you can sleep on the plane, it can impact your whole trip. 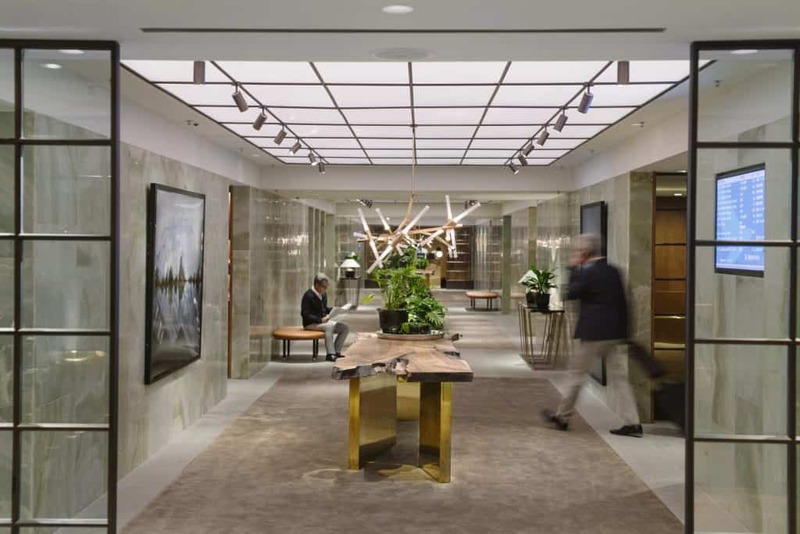 Not all lounges are created equal and in recent years, airlines have really invested in their lounges to compete for the luxury and business travel markets. We take a look at what some of the best out there have to offer. Manhatten style apartment in the Virgin Clubhouse is open for a week and includes unrivalled views of the runway and a butler service. The Virgin Atlantic Clubhouse was revolutionary when it opened in 1993. It introduced the idea that using a lounge could be an experience in itself. The Clubhouse at Heathrow is still an impressive lounge, especially if you are looking for entertainment. From playing pool in the billiards room, watching a movie on a big screen or indulging in a spa treatment or hair cut in the salon, it will definitely keep you busy. 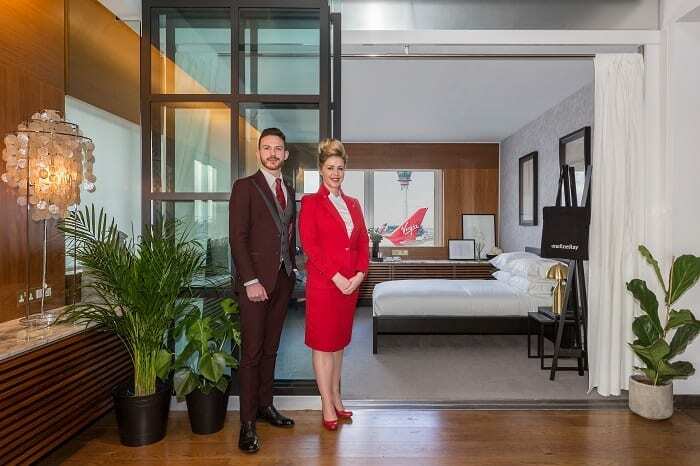 They are also always looking to keep the experience fresh and a great example of this was last week (early March 2018) when they collaborated with onefinestay to transform an area of their Clubhouse into a Manhattan loft, including unrivalled views of the runway and a private butler. In competition with Virgin at Heathrow is British Airways and their suite of lounges at Terminal 5 and Terminal 3. Their most exclusive and luxurious lounge is The Concorde Room at Terminal 5 which has recently had a refurbishment. The lounge offers private booth dining with waiter service, an excellent champagne selection and access to exclusive cabanas if you really value your privacy. The cabanas get booked up months in advance and offer a day bed, TV, shower and you can order food and drink to be delivered to you. First Class customers can use either the Concorde room or the First Lounge but we’d highly recommend The Concorde Room, unless you don’t have much time and want to grab something quick to eat, in which case you might be better off using the buffet style dining in the First Lounge. What about the other airlines at Heathrow? 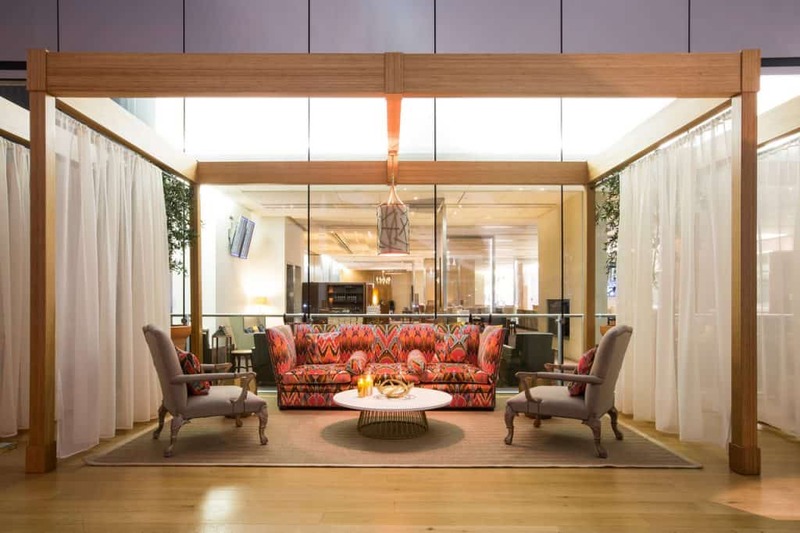 Emirates refurbished their Heathrow Terminal 3 lounge in 2015 to include direct boarding from the lounge,straight on to their A380’s, meaning you get more time to relax or work rather than having to leave time to walk to the gate. Qantas opened their refurbished lounge at the end of November last year with a focus on food and drink experiences. They offer cocktails served by Qantas Rockpool Mixologists, Australian and European wine and beer, a gin bar serving both Australian and British gins, (including an Australian gin containing green ants) as well as food “designed by Rockpool with a Sofitel service experience” along with an a la carte menu in the dining room. It is also worth noting that American Airlines have recently refurbished their Arrivals lounge at Heathrow. The showers are spacious and modern, the food is varied and there is a hot option until it closes (unlike the British Airways Arrivals Lounge in Terminal 5 which stops hot food after 1230) and there is plenty of space for customers to relax before heading off to a meeting or home. What about outside of Heathrow? 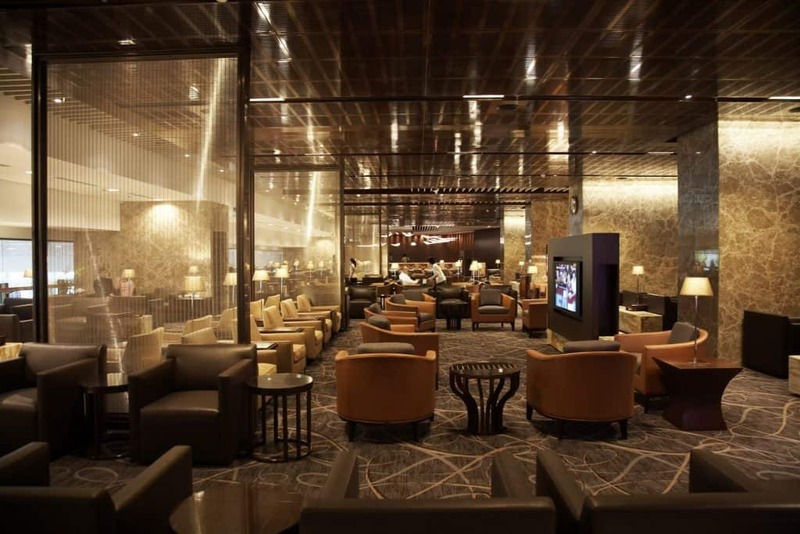 Most airlines have their most luxurious lounges in their home terminal, and Qantas First Class Lounge in Sydney, Finnair Lounge at Helsinki and Cathay Pacific’s lounges in Hong Kong are all brilliant examples. In Singapore, Singapore Airlines offerFirst Class customers access to The Private Room, an exclusive lounge within a lounge. The Private Room is tucked away inside the First Class Lounge of the SilverKris Lounge and offers an exclusive experience with a focus on relaxation, service and incredible food. You can choose to eat in the dining room or the lounge and expect to see options such as foie gras burgers and lobster on the menu. 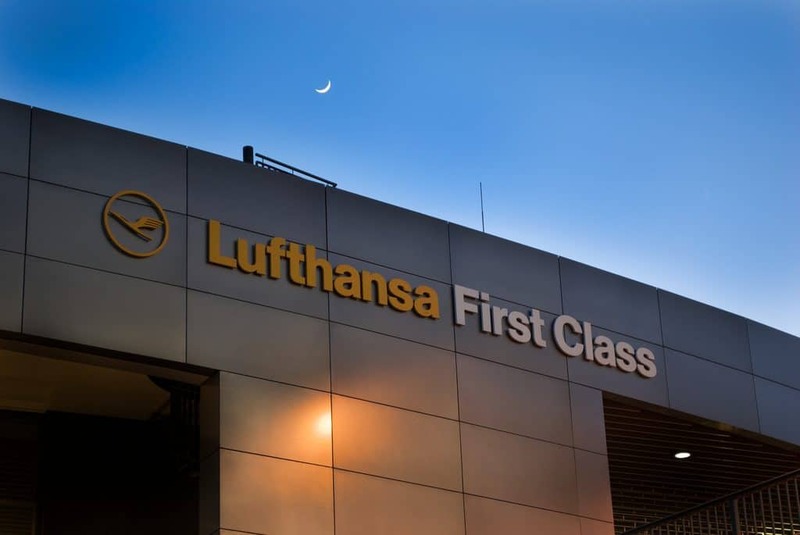 Lufthansa have their own private First Class terminal at Frankfurt which really focuses on luxury and exclusivity. Their entry policy is strict and they even refuse entry to partner airlines customers (they offer an alternative lounge, but it is unusual to be able to keep this level of exclusivity). The lounge includes personal assistants to guide you through the facilities, a Cigar lounge, private sleeping rooms, and even a chauffeur driver that will take you directly to your plane when it’s time to board. 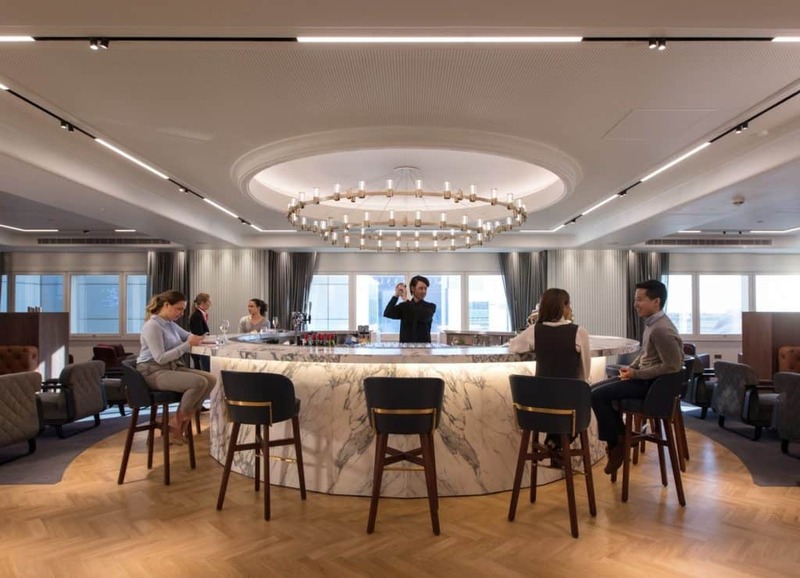 If you are looking to get some work done, there are 5 separate office units you can use, or if you want to enjoy something to eat, you can choose from the buffet or a la carte menu, all designed by Michelin starred chefs. Designed by Studioilse, the London-based design studio led by Ilse Crawford, the lounge is an environment that helps passengers relax by engaging the senses and focusing on wellbeing. Cathay Pacific’s flagship lounge at Hong Kong airport ‘The Pier’ opened in 2015 but it remains popular with travellers. It offers eight day suites, which include a daybed and blackout curtains, 14 luxurious showers and all customers are offered a complimentary foot massage. There’s also a full service restaurant for First Class passengers and space to work or read in peace.